As we age, our faces will start to lose its youthful volume and fullness. Wrinkles and folds start to appear. If your face has been experiencing the unwanted effects of time and age, then a dermal filler like Juvederm can help take years off of your face! Juvederm is an injectable dermal filler composed of a smooth hyaluronic acid gel. Hyaluronic acid is a sugar molecule that naturally already exists in the human body. It is found within the cells of our muscles, skin, and tendons. Hyaluronic acid acts like a sponge- it loves to bind with water molecules, effectively “absorbing” water. Younger people have higher levels of hyaluronic acid in their bodies, which is what gives them a youthful, hydrated, and full look. With the aging process, levels of hyaluronic acid decrease, facial fat distribution changes, and bone structure changes. This causes the formation of wrinkles and hollowness in the face. Juvederm is a great way to restore facial volume and visibly reducing the appearance of wrinkles and folds on the face non-surgically . Juvederm can be used in a variety of ways. Some of the more common areas Juvederm is used is in the smiles lines around the nose, temples, cheeks, and lips. Both Juvederm Ultra and Juvederm Ultra Plus lasts an average of 6 months. It is important to note that this is just an average, some patients may experience a short duration such as 2-3 months, and others may see it lasts up to a year! Both Ultra and Ultra Plus are hyaluronic acid, but the Ultra Plus has more projection and is thicker than Ultra. It is a matter of the patient’s personal preference when it comes to deciding which one to use. Which Juvederm is better for the lips? Every provider has their own product preferences for the lips. Some practices will use Juvederm Ultra Plus exclusively for the lips. Julianne Trinh, N.P. prefers Juvederm Ultra because it produces a softer and more natural pout. However, on patients who want the most noticeable difference, or on patients who already of thick, full lips, she prefers using the Ultra Plus. Other choices for the lips include Restylane, Vollure, or Volbella. During your consultation, we can discuss your lip goals and select the most appropriate filler for your lip augmentation. We provide the very best numbing cream to make your experience comfortable. Please be sure you arrive 20 minutes prior to your scheduled appointment time to allow ample time to numb. Most patients report they hardly feel any pain, or minor pricking with the injections. Juvederm Ultra is $495 a syringe, and $300 for 1/2 syringe. Juvederm Ultra Plus is $575 a syringe, $400 for 1/2 syringe. It really depends on what how big you want your lips to be, and what kind of lips you start off with. The bigger your lips, the bigger the surface area. Thus, you would need more product in order to see a more noticeable difference. For example, 1 syringe in Kate Beckinsale's lips would look more noticeable than 1 syringe in Angelina Jolie. 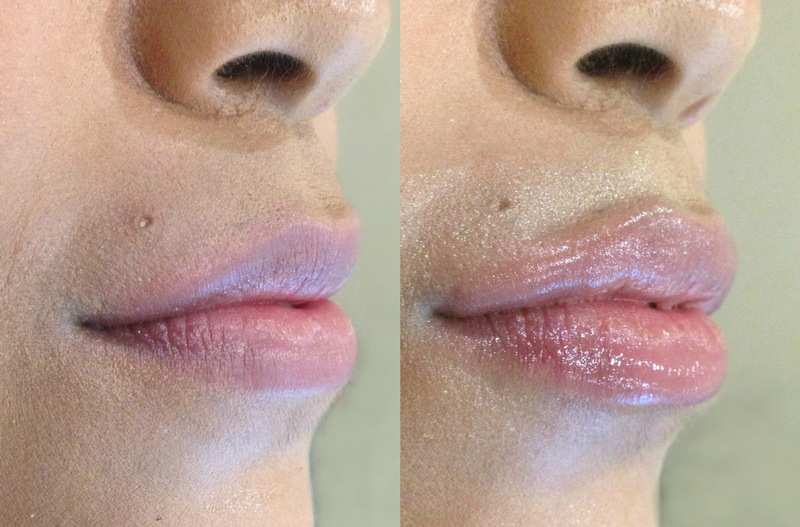 In general, 1 syringe is enough to lay down the foundation and smooth out lip lines and make things look a little juicier, but it usually does not produce a huge noticeable difference in size. To achieve a more noticeable difference, it normally takes at least 2 syringes, if not more. I loved my lips right after treatment, but now it's been 2 weeks and they seemed to have deflated a lot. What if I end up not liking how I look with bigger lips? It's very rare that we have a patient that does not like their poutier lips. But it's understandable that it can happen, as it comes with the territory of patients experimenting with their looks. Not to worry, if you decide bigger lips are not for you, just let us know and we can dissolve it with a special medicine and your lips will return to normal within a day. Help! I woke up the day after the lip injection and my lips are huge! The lips will swell the first few days. This is completely normal. It will normally be bigger in the morning upon awakening because everything has pooled while you were laying down all night long. After going about your day, the swelling will improve as gravity helps pull the swelling down. The possibility of having an allergic reaction to Juvederm is very rare, but if you are having difficulty breathing call 911 immediately.